Looking to satisfy your appetite for traditional American food or surf and turf? Hoodline crunched the numbers to find the best high-end American surf and turf restaurants around Detroit, using both Yelp data and our own secret sauce to produce a ranked list of where to fill the bill. Topping the list is Grey Ghost. Located at 47 Watson St. in Midtown, it’s the highest rated high-end traditional American restaurant in Detroit, boasting four stars out of 497reviews on Yelp. 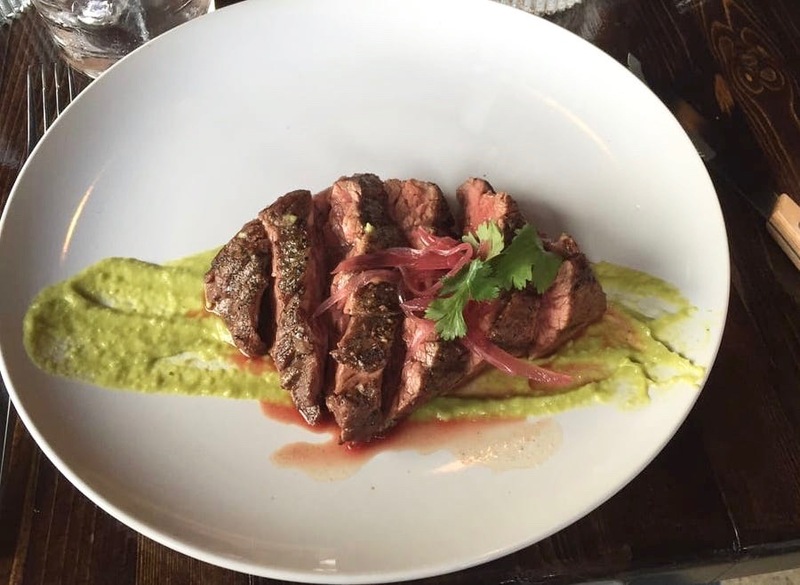 For brunch and dinner, Grey Ghost offers a mix of traditional American fare and international dishes. The brunch menu includes sweet treats like bananas Foster cronuts and savory bites like the omelet rancheros with black beans, avocado and guajillo or the pork schnitzel sandwich. At dinner, you can start with oysters, then dive into a dry-aged New York strip steak with béarnaise butter with king crab or a classic cheeseburger and fries. Next up is downtown’s Joe Muer Seafood, situated at 400 Renaissance Center, Suite 1404. With four stars out of 486 reviews on Yelp, the sushi bar and traditional American spot has proven to be a local favorite for those looking to indulge. From inside the RenCen building, Joe Muer Seafood provides a close view of the Detroit riverfront, while serving up a wide selection of seafood dishes, including sushi. Try the lobster corn dogs, served with Napa cabbage slaw and hollandaise; a specialty sushi roll like the Joe Muer, with shrimp, avocado, cucumber, crab, campyo, tuna, spicy mayo and tempura crunch flakes; or a steak. There’s also a varied list of wines and signature cocktails. 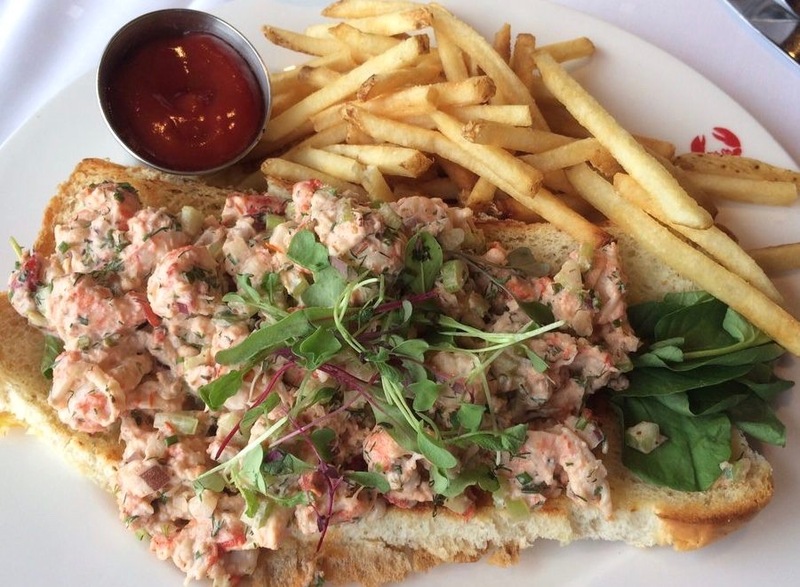 At lunch, look out for the lobster roll, made with Maine lobster meat in Louis dressing that’s infused with brandy and roasted tomato and served with fries. 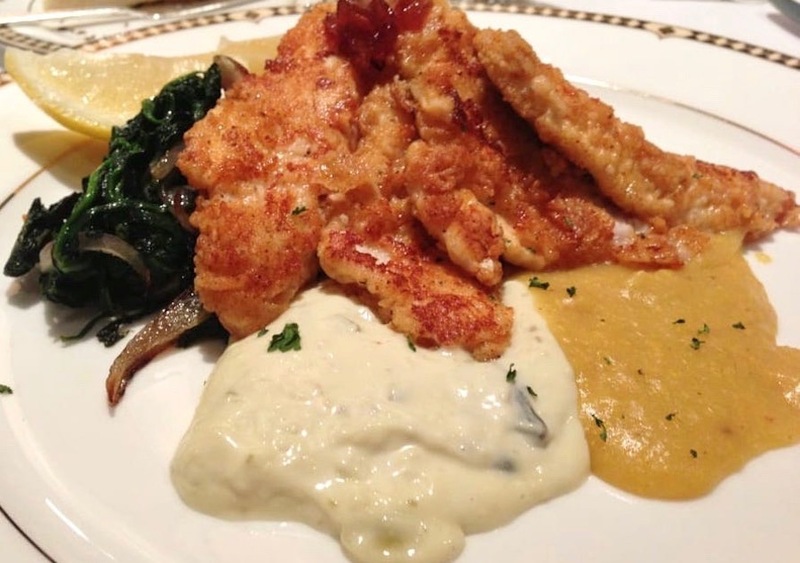 Downtown Detroit’s Grill Room at Detroit Athletic Club, located at 241 Madison Ave., is another top choice, with Yelpers giving the upscale traditional American and breakfast spot four stars out of 16 reviews. Located within the historic private social and athletic club, The Grill Room offers a fine dining experience with a range of surf and turf options, as well as pastas, poultry, beef, salads, soups and desserts. Start the meal off with a soup, like beef consommé, paired with the DAC Cafe Salad, combining mixed greens, cumin-spiced almonds, seedless grapes, golden raisins, red onion, French feta and a poppy seed vinaigrette. Then consider a main like the grilled New York strip with a baked potato, chive sour cream, asparagus, Maître d’Hôtel butter and the house steak sauce; or the poached salmon spiced with lemon-herb sea salt and served with quinoa-kamut grain pilaf, broccolini, eggplant puree, lemon crème fraîche and a Moroccan red bell pepper-walnut sauce.